We recommend booking online in advance to assure your spot in the trees! We also recommend the use (or purchase at our Welcome Center) of fingerless gloves on your treetop experience. Ages 16-17 must have a waiver completed by their parent or legal guardian. Ages 12-15 must have a waiver completed by their parent or legal guardian. Includes the Kid’s Course only and includes up to 6 zip lines incorporated into the obstacles. Height requirement: While keeping feet flat on the ground and arms raised above your head, palm of hand must be able to touch the height of 4’7″. Please call to book a guide in advance. For minors who participate on the adult courses and do not have an adult to climb with them, please ask our staff about the Private guide service. 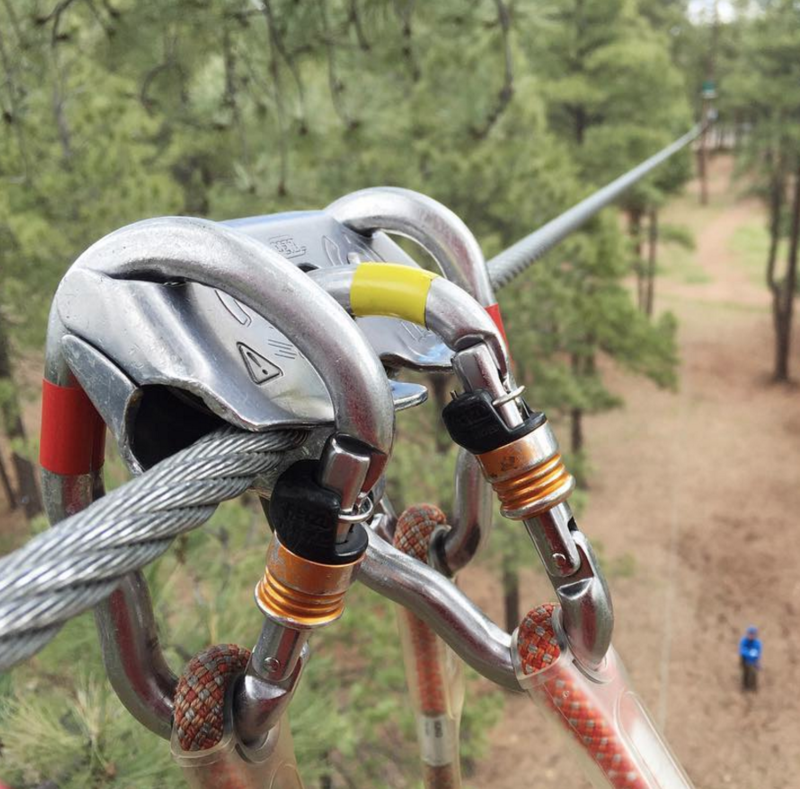 Experience the greatest adventure with a professional Flagstaff Extreme Guide. *Note: If our Guides or Staff determine a child participating on the Course should not continue due to difficulty, child must come down from the course which he or she is participating on. For our GROUP BROCHURE click HERE! Larger Groups are welcome but the starting times may vary, please call to book a large group. Bookings made via this website, or by phone, may be cancelled via phone up to 48 hours before the scheduled appointment and the customer will receive 100 of the total fee for that appointment. Cancellations within 24 hours will be charged 100 % of the fee for that appointment. Outside of 48 hours we are also happy to just reschedule the date and time or process a refund.